Have you ever thought about giving your client the option to say no? Christopher Cumby shares how he get’s his clients to say YES by just being honest with them upfront! He talks about how he has created a sales game and teach others to do the same. Christopher shares some encouragement in sales and to let you know that you will get NO but that doesn’t mean you have to give up! – How Chris schedules his week ahead of time to work more efficiently. – Where Chris’s entrepreneur journey all started. – Chris shares how to actually ASK for the sale! – Brandon and Chris discuss the mistakes people make in sales. – What it looks like to work with Chris in his sales game! 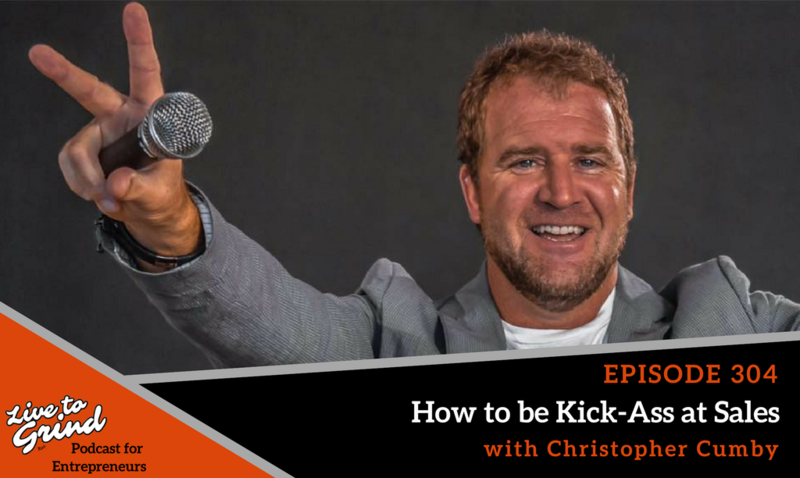 – Chris shares the way he gets his clients. Author, Sales Trainer & Consultant. Christopher is best known as a Sales & Marketing expert and he also Co-founded Think BOLD, Be BOLD Ventures, a business incubator to aid in the development of entrepreneurs.